T-RackS 5 includes a redesigned and comprehensive suite of metering tools that provide you with immediate and complete visual information about the content of your audio material, so you can easily achieve professional results that will meet the strictest broadcast compatibility and digital delivery standards ensuring your mixes always sound great. 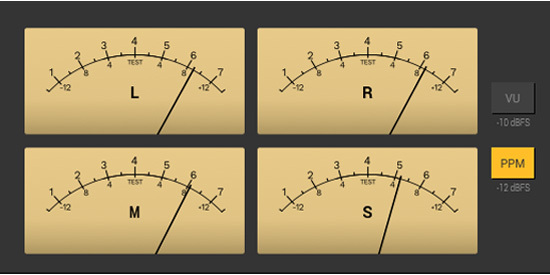 The new precision loudness LUFS meter, compliant with all leading professional reference standards, provides valuable information about the integrated, mid or short term loudness of the material you are working on, so you know right away you are producing a master that has the perfect loudness for digital music delivery or broadcasting. Peak, RMS and Dynamic Range meters give you useful information about the “crest factor” (the difference between RMS and Peak levels) and dynamic response of your mixes. This way you can decide whether you want to go for a more compressed sound or a more dynamic one while still retaining the emotional impact of your songs. The spectrogram, the real-time analyzer, the phase and correlation meters will also help you visually spot frequency imbalances and phase problems you might need to address before printing your masters for both digital and physical distribution. VU / PPM meters provide another level reference in a classic visual format with different ballistics. 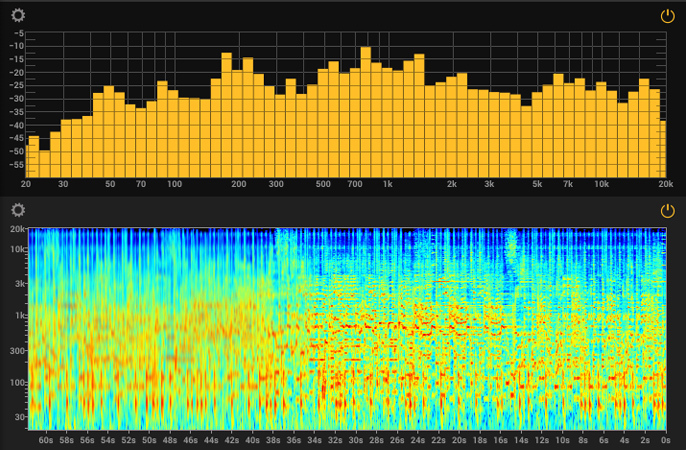 Volume Units show an average level of loudness tied to the “crest factor” while Peak Program metering will provide faster response for monitoring transients. 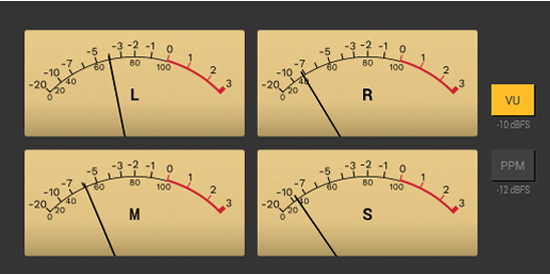 Mid-Side meters will help you gather information about the relations between the mono and the stereo content of a track in terms of “overall energy”, so you can choose whether to go for a more widespread stereo image or a narrower “in-your-face” kind of sound. Additionally, T-RackS 5’s new metering suite can be launched as a separate floating window, like on a secondary screen, to let you keep an eye on levels while you focus on sound processing. The new metering suite is available inside T-RackS 5, T-RackS 5 Deluxe, T-RackS 5 MAX as well as separate purchase. In T-RackS CS the primary metering functions - L/R Peak, RMS, Loudness and Dynamic Range - are available as part of the interface but not available as a floating window.